In today's market having a website is a crucial part of growing your business, it is unarguably the best and most effective way to reach customers in your local area as well as globally. Utilizing an aesthetically captivating website that is also very informative and well optimized to rank in search engines will easily make up the majority of your income creation. At MassPull Marketing we are well practiced in creating websites for all types of industries, and can develop extremely personalized solutions for any of your needs or desires including business properties, online stores, blogs, event sites, and much more. The benefit you'll inherently receive when creating your new online presence with us is the great history of visual craft that has come along with our many years of experience in the worlds of product design and graphic illustration. Understanding what makes things look good, current trends, strong visual branding, and a great knowledge user experience design, are all things that will be translated into your new website. In addition to creating a great look and feel to your website, for any client we do a site build for, we also always set a great foundation for search engine optimization. Specifically through on-site tailoring. This means that we will incorporate all of the necessary building practice and elements to ensure good initial ranking, reducing the cost of any in depth offsite optimization you may wish to do afterwords as well as increasing its effect. After all, a beautiful website that doesn't convert into sales is just that. But we want to create a site that you can be proud of, as well as one that brings you consistent buyers. To ensure that we create websites that equate to your business sales, we do all the in depth research necessary to understand who your market place is, what keywords consumers are searching for, what attracts those people to purchase, and interweave all of these elements into your branding and site. ​If you are looking to begin a new project or perhaps even refine an existing one, contact us at 386-222-0740, and we would be happy to provide a free estimate. Every Website is designed to be totally responsive & Mobile Friendly. 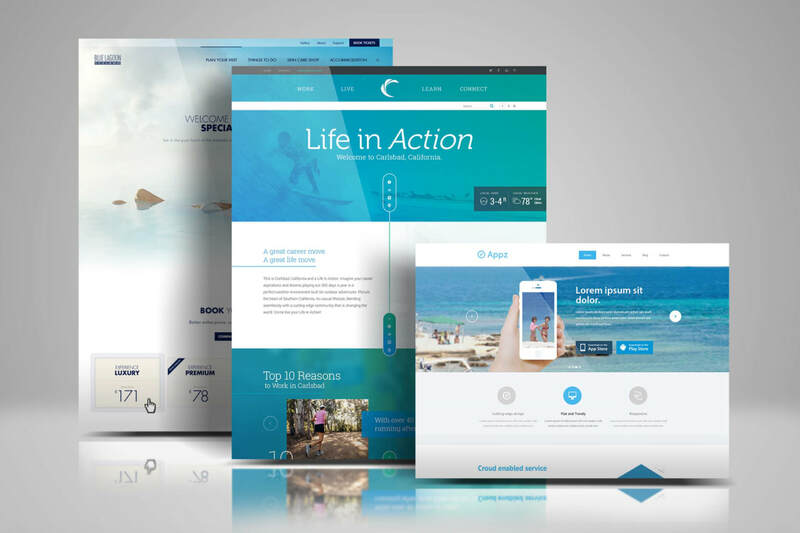 Every website we create is made for versatility. And will look great on desktops, phones, and tablets. As professional designers, we know the latest trends and utilize the most cutting edge features. We prioritize user experience, and create sites that allow for easy navigation and enjoyment. We are always at your service after the build, and can help make changes or even teach you how.